The most important aspect when it comes to building a website is choosing a reliable web hosting company. We live in a competitive society when it comes to business, especially online. This being the case, you’d want your website to be as convenient as possible for its visitors, existing users, and potential customers. This means that they are able to access every aspect of the website, irrespective of what time of day or night it is. Well, there are so many web hosting companies out there to choose from, but not all hosting services are equal. The web hosting service you choose can either attract more clients to your website or even scare off any potential leads. As an online marketer, you don’t want a website that isn’t paying you off for your internet marketing efforts. Here are the top 3 reasons that web hosting can make or break your website. Your website’s performance is mainly dependent on two things. It depends on uptime and speed. Downtimes can be frustrating and costly. The same case applies to pages that take more than a few seconds to load once a visitor or prospective customer clicks on a link to a landing page they’re interested in. Any time that your site goes does down, you lose out on potential customers because they are not able to access your website. This means that at the end of it all, you’ve lost income and potential sales. It’s important that the web hosting company provide your website with quality uptime. There’s nothing as bad as going offline in the nick of a money making moment. Your website’s pages should also be able to load fast. In summary, speed and uptime depend heavily on the quality of services offered by your web hosting company as well as the hosting server subscription you choose. Your website success will be measured by how much traffic it’s able to handle at a go. It takes a lot of resources to develop quality content on your website. This means that your website should have the ability to handle all the traffic that comes with such content. The infrastructure supporting your website should have unfailing strength in delivering such content to the user at any given window of opportunity in order to gain new leads. It’s imperative for the web hosting provider to ensure that they provide you with quality hosting services. The ability or inability to handle traffic spikes could make or break your website. In most instances, server issues are beyond the administrator’s immediate control. Depending on the size of your online business, some issues can cost you thousands of dollars, if not millions in sales lost to your competition. In such cases, you’ll always want to turn to your hosting provider for solutions. Sometimes the issue could be minor, such that they can solve it remotely or provide you with guidelines to sort it out yourself. In some cases, though, the service provider might have to send a technician over to check if the problem is coming from your physical servers (especially for large organizations with internal networking systems). Regardless of the size of your website, it’s important to work with a 24/7 hosting service provider that goes the extra mile when it comes to client support. As a website owner, it’s important to ensure that your customers are satisfied with services provided for by your website. This means maintaining high loading speeds and avoiding downtimes as much as possible. 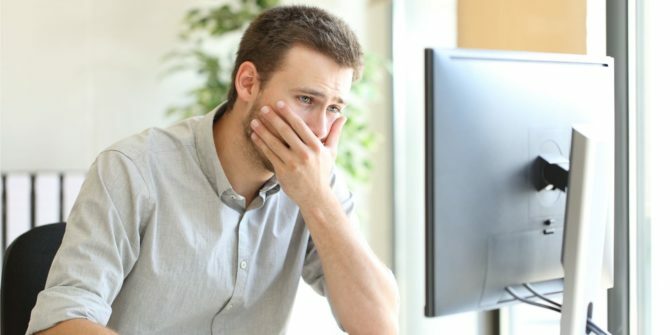 Sticking with an unreliable web hosting provider can heavily jeopardize your website’s performance, reliability, and reputation. On the flipside, choosing an experienced, reputed, and reliable hosting service will ensure that you maintain a good reputation for your website in order to attract loyalty from your target, potential, and existing customers. For more information on the best Singapore web hosting services, what to look for, and how to choose one, you might want to check out Hosting Foundry, a reputed online adviser agency for all things web hosting.